Have you ever met someone who you had an instant connection with, and you just intuitively felt that you had met them somewhere, somehow, before? If you’ve experienced this feeling before, then you have likely met someone from a past life who you have run into once again on your current journey. You might not immediately think “Hey, I knew them from a past life” when you meet them, but you just know that their soul and yours have crossed paths at some point in time before. You might not have even believed in reincarnation or past lives before this experience, but something so powerful and intense can easily open your mind to other possibilities. 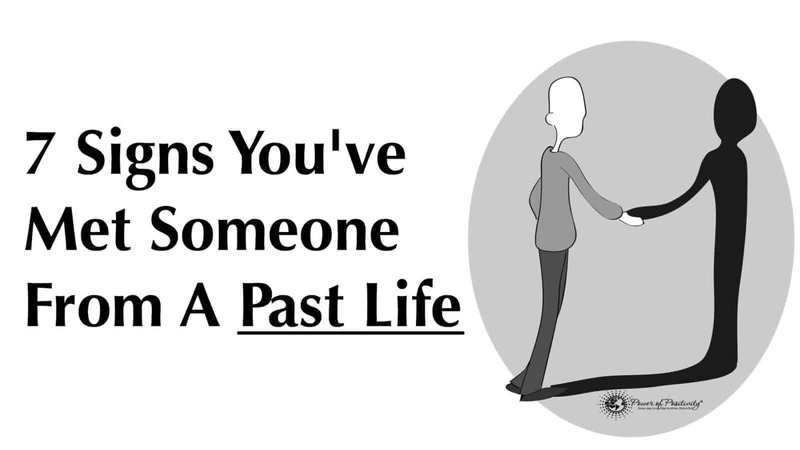 Meeting someone from a past life usually feels amazing, but sometimes, bad memories or feelings could come up due to your past relationship together. Just be mindful of how you feel, and trust your intuition. Not all relationships last forever, and some of them teach us painful lessons. However, if you’ve met someone in a past life, it likely means you have unfinished business with them here on Earth. 1. You feel at home when you look in their eyes. You finally feel as though someone understands you. You don’t feel judged or uncomfortable in their presence, and it feels like looking into their eyes is like looking into your own. You feel one and the same with them, like you have connected with someone who knows your soul to the core. Meeting them feels like coming home, and you could talk with them for hours on end. Contrarily, you could sit in silence for a long time and not feel awkward, like you have to fill the empty space. You can be totally yourself, and they just get you. The relationship with them feels easy, not strained or forced. 2. You feel overwhelming emotions upon meeting. The person you meet draws up a wellspring of emotions within you. You can’t place it exactly, but something about the encounter felt incredibly powerful and life-changing. You feel you haven’t seem them in ages, and have suddenly crossed paths in such a surprising way. You probably didn’t even know the person lived in your area, or maybe you met on travels to a foreign place. Whatever way you meet them, you know it’s more than just a coincidence. You might cry, laugh, or fall into a warm embrace when you see them, because you just can’t hold back your emotions. This person means a lot to you in your heart, so seeing them again for the first time in months or years will inevitably stir up some powerful feelings. 3. You have plenty of memories with them. You don’t know how or why, but you both share memories of past lives together. You might recall living in the same place, having the same occupation, or crossing paths along travels in a foreign country. You just intuitively know and remember these things, and the memories have carried over into all the lives you have shared with this person. 4. You can read the other person like a book. 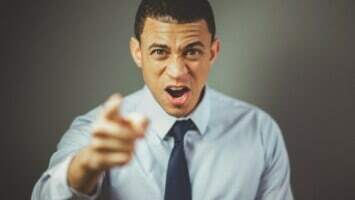 Even if you don’t say it, this person can read your mind. They know your thoughts and emotions without you having to explain, which makes having a relationship with this person feel easy, for once. Nothing feels strained, and you can read them just as easily as they can you. You both have a telepathic connection, and cherish it greatly. 5. Time means nothing in their company. You sort of forget about reality around them – time doesn’t mean anything when you have them at your side. Upon meeting them again, you two might spontaneously decide to catch up, and before you know it, five hours have passed. You feel so in tune and engaged with them that you easily lose track of time, space, and all of reality. 6. You have a strong connection even when you’re apart. Even if you didn’t know it at the time, you and this person have probably communicated before. You may have gotten powerful messages before that seemed to enter your consciousness out of the blue – this could have been someone trying to contact you telepathically. Maybe you see the same numbers on the clock day after day, which also means the universe needs to deliver you a message. Signs appear when you least expect them, and could point to a past life connection with someone special. You may have felt misunderstood and alone for the majority of your life, but meeting them erases all of those painful memories. You have an unbreakable bond with them that feels more powerful than anything you’ve felt before, and you can talk and be with them effortlessly.